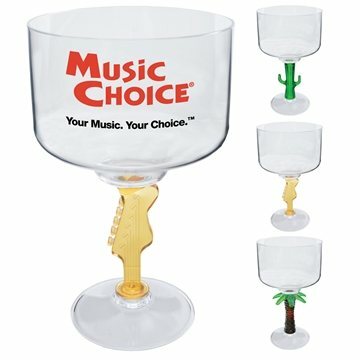 This margarita glass holds 18 oz. and features a novelty design for the stem. Met our expectations. Lots of discussion on what it could be used for. They like them very much. A great product, an awesome service! Excellent item for that cost. Much better than expected. the product was wonderful. The quality and imprint are just wonderful. Very pleased with this item. this was my first business with AnyPromo and was so happy I landed on your site. Everybody loved it.